AB 1616 requires that any person who prepares or packages cottage food complete a food processor course within three months of becoming registered or permitted. The California Department of Public Health (CDPH) does not currently have training courses available for this subject matter, and given the urgency for operators to complete the training within three months of becoming registered or permitted, CDPH has identified training that you may take that will satisfy the training requirement specified in California Health and Safety Code section 114365.2(d). Cottage Food Operators (CFOs), their employee, and any household member that is involved in the preparation or packaging of cottage foods may take one of the American National Standards Institute (ANSI) accredited food handler courses that are currently required for retail food facility food handlers. The courses are available on-line or via a classroom in a variety of languages for a minimal cost. 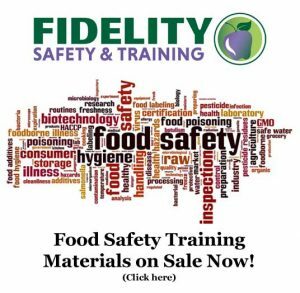 After successfully completing the course, you will receive a food handler card or certificate, which you need to retain as proof that you completed the required training. You must present a copy of this card or certificate for each person involved in preparing cottage foods to your local enforcement agency upon their request, to verify that the training requirement has been completed. Since CFOs and their employees only need take the training one time, the future expiration date on the card will not be considered when determining compliance with this requirement. For more information, visit the CDPH website. Online course available in English or Spanish. Click here to begin your California online Food Handler Course and Exam for only $9.95 > >.